Change is something that I definitely struggle with. It makes me super nervous because I don't know what to expect and I don't know if I'll end up liking the change or not; however, I have been wanting to change up my hair for a while now, and I didn't want to dramatically cut it all off. I also was really worried about coloring it because I colored my hair when I was younger and eventually started to hate it. 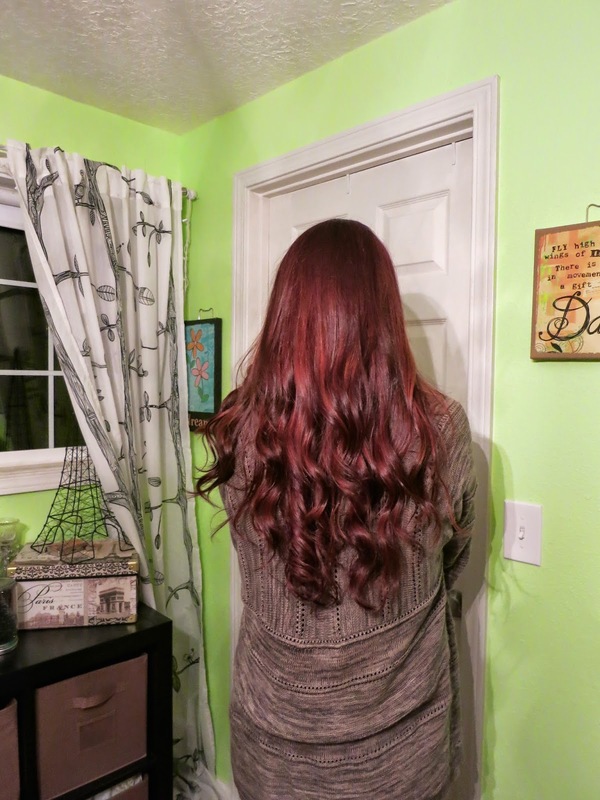 This past August, you guys may remember, I got red in the ends of my hair when I wanted a subtle balyage, but that just ended up washing out after a couple of weeks. Since I wanted the change to be more noticeable than last time, I decided to go for something that would show up more! I also want this year to be a great one, so I decided to start it off with a pretty big change (to me anyway)! I thought, what the heck, I'm only young once, right? 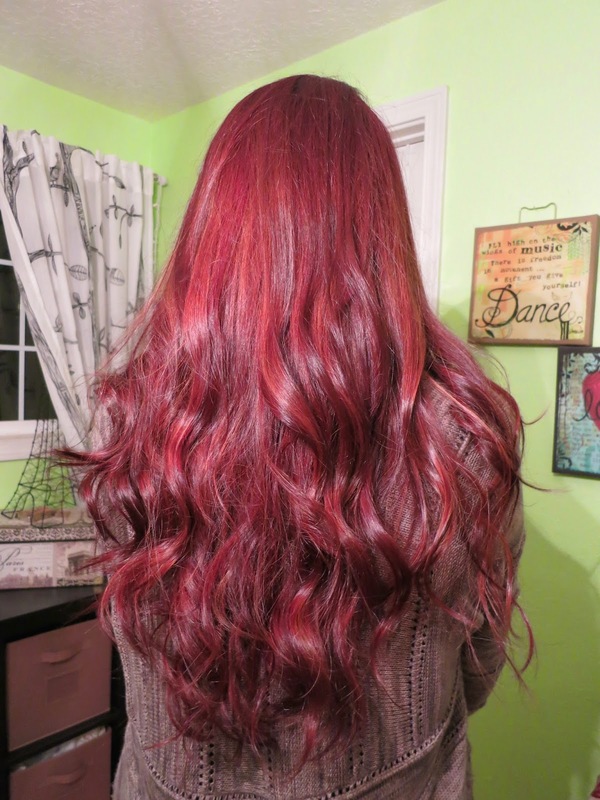 And, if I ended up not liking the color, I could just get it colored back to my natural color. 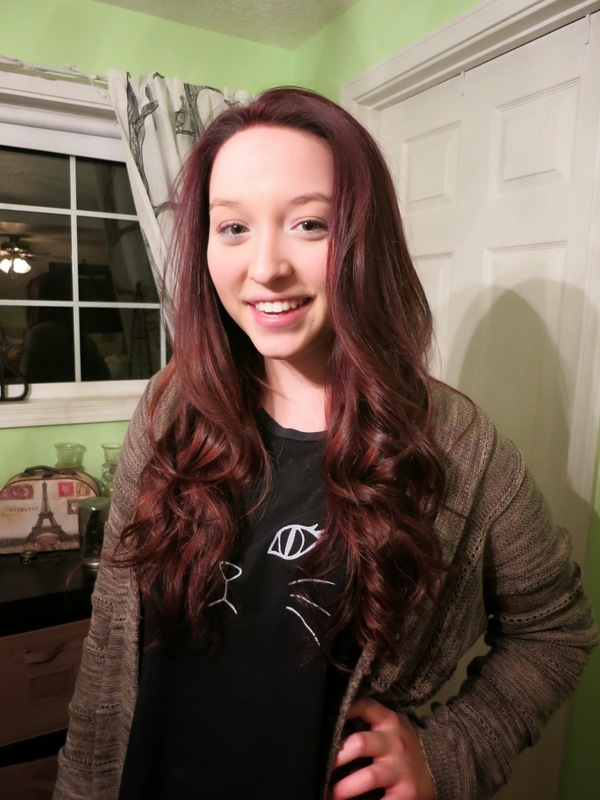 So without further ado, here is my new hair! Ok, so it isn't as fire engine red as it looks in this picture. 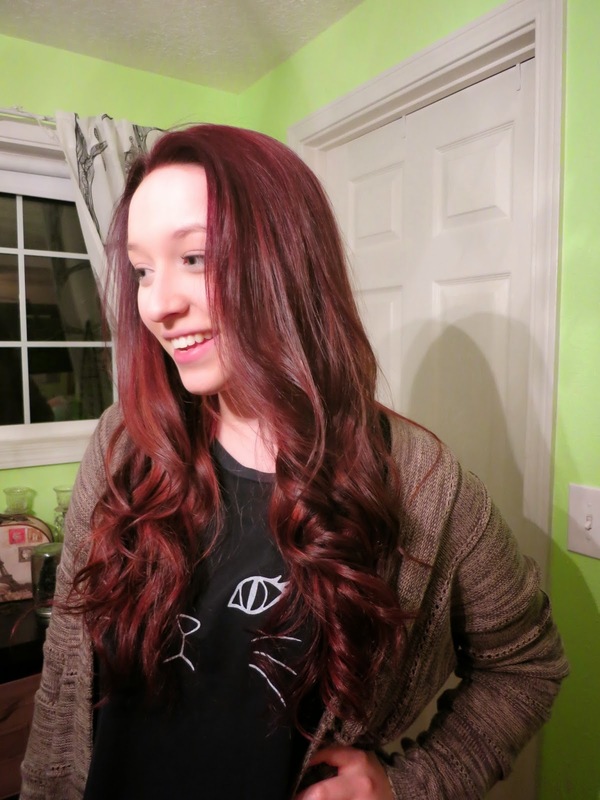 The lighting made it look crazy red, but it's actually more of a dark auburn with lighter copper highlights! This is what it looks like when it's not directly under the light. You can kind of see the copper highlights here! I really love how it turned out! It's honestly not too drastic of a change, and I think it looks nice against my paler skin, and it brings out my green eyes way more! These photos were taken when I was home, and I'm back at college now, so I'll probably have a post soon of how it looks now that I've washed it a couple of times. I'm so glad I decided to color it, though! It's the perfect time for a change, and having the different tones in my hair kind of forces me to actually style my hair everyday in order to actually see them, instead of just leaving my hair to dry at night. Have you guys made any changes so far this year? Thanks! :) and that's awesome! I've dyed my hair three times before but I don't really have any desire to change it again. Thanks! :) Yeah, I don't think I'll be changing mine anytime soon either! I love it so much, it looks so pretty. Really glad you like it as well! Your hair turned out really great. I tried to dye my hair a lovely autumn red once and it just went disastrously wrong; like bright red at the roots and black everywhere else. I Sent Out My DNA? !